Although this is only their third album it is actually called 4, which is quite funny or maybe just weird.. However as I really liked the debut album (Flowing Portraits) and follow up Closer To Daylight I am "obliged" to like their third release as well? No, I am only kidding of course, I really like 4, maybe it is even their best album so far. The third album of these Italian prog rockers also features a third new singer; Lino Di Pietrantonio is his name and he replaced former vocalist Fabio Manda. Lino's voice is more melodic than Manda's and maybe this could just do the trick for some listeners, although I actually preferred the voice of Manda; but who am I to judge?? 4 is concept album and tells the story of Adam, who is standing on the roof of a large building, reflecting on his rather average, boring life. 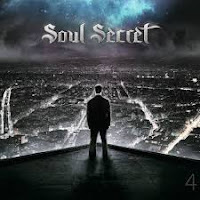 Opener On The Ledge already belongs to one of my Soul Secret favourite tracks as it really shows the musical capabilities of the band as this great song is complex, melodic and very versatile. Other highlights of the album are the two instrumental songs Silence and My Lighthouse where guitar picker Antonio Vittozzi and keyboarder Luca Di Gennaro show what they are capable of. But Soul Secret keep the best for last as The White Stairs, a 16 minutes epic track, is the absolute highlight of this album. This amazing track is a mix of rock, jazz, prog, great melodies, heavy guitars and the best part of it is that it all fits like a glove. Of course the band sounds like you know who; an American prog metal band consisting of 12 letters?, but I do not mind that at all. 4 is a great progressive rock album and a must for lovers of great, diverse, daring music; it is also the best album of Soul Secret so far. Keep up this good work guys and come to The Netherlands to do some live gigs to convince the non-believers. Play at maximum volume!! Only a few months after the release of ”Albion”, the 11th Ten studio album, the band is already offering us new material. This comes as no surprise to Ten fans, it was stated that the band recorded two albums’ worth of material during the sessions. If you’re thinking that the songs on this album are leftovers from the ”Albion” session, you might want to think again. 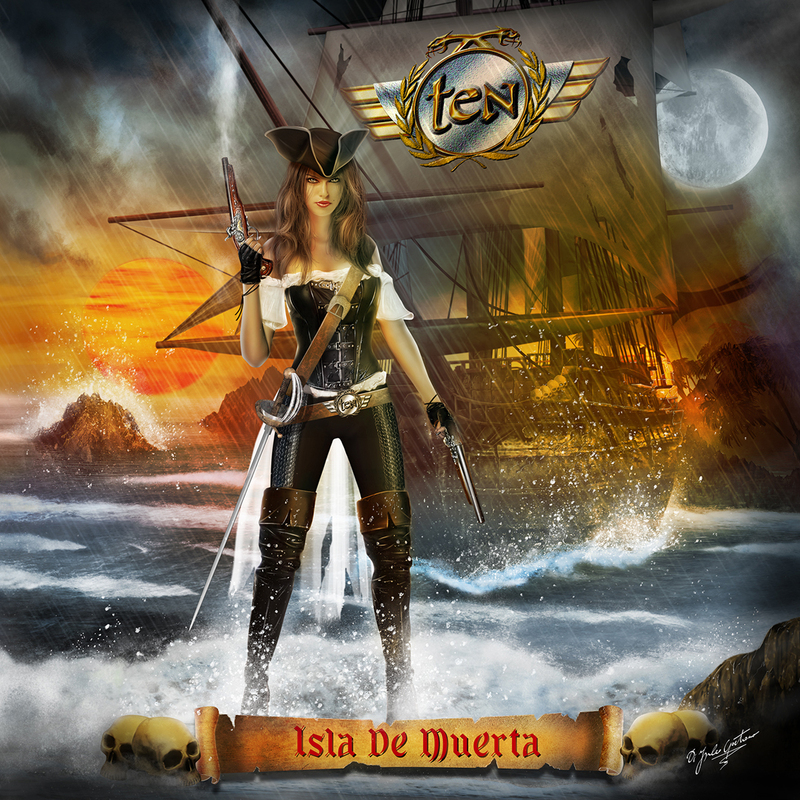 ”Isla De Muerta” is very much a ”complete album”, one that you can easily listen from start to finish. I’ll admit that after first couple of spins I was slightly disappointed, as there didn’t seem to be many ”hits” such as the first few tracks of their previous album. After several spins I do still think that most of these songs can’t rival the best songs of ”Albion”. 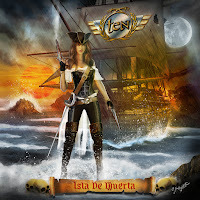 Then again, that album has a few songs that I tend to skip… ”Isla De Muerta” doesn’t. There’s a common musical thread to most of these songs: subtle, understated choruses. It seems that the more defined hooks were used on ”Albion”. Most of the choruses of ”IDM” aren’t quite as immediate, it’s like they go with the flow the song and do not jump at you. However, you’ll catch yourself humming them eventually. What separates TEN from most of the other bands are Gary Hughes’ lyrics. He writes rather articulate, intelligent and well-researched lyrics, not your typical AOR stuff about lost love or holding on. It’s not often that I have to look up a song title from a dictionary, but with ”Acquiesce” I had to do that… English isn’t my first language after all. I want to mention a few highlights among these 11 songs. ”This Love” does have a bombastic chorus and it goes straight to the list of my favorite Ten ballads. ”The Dragon And Saint George” is an uptempo track that takes me back to the era of ”The Name Of The Rose”, the second Ten album. The heavier side of the band is showcased with ”Angel Of Darkness”, which kicks off with a high-pitched scream and an Iron Maiden-like riff. Then there’s the catchy ”Last Pretender”… and so on. Every song does have its’ charm.